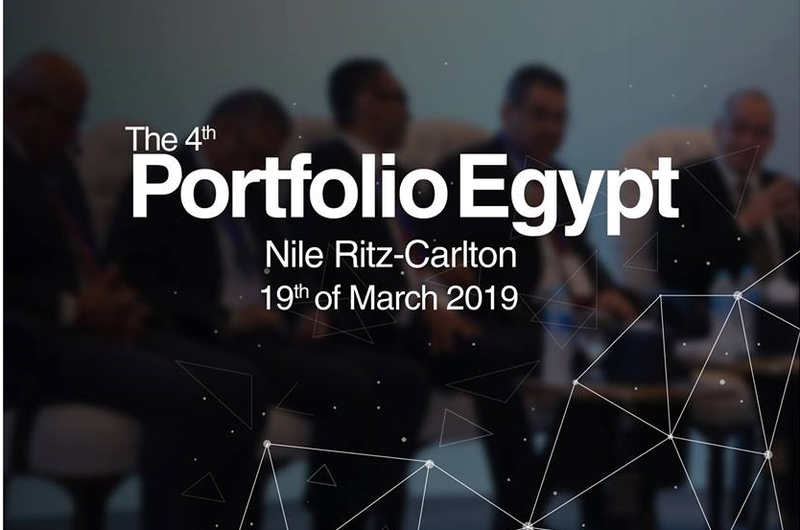 The 4th edition of the Portfolio Egypt Conference 2019, titled “Opportunities Blunted by Risks”, will be held March 19 at the Nile Ritz-Carlton, Cairo with the participation of more than 500 firms, investment banks and businessmen, organized by al-Mal GTM. The conference focuses on opportunities for non-banking financial activities, which are now one of the most salient investment destinations, which comes in expansion for existing entities and the emergence of new operators as well as introducing legislation and regulations to enhance further growth opportunities. Minister of Investment and International Cooperation Sahar Nasr and Minister of Public Enterprises Hisham Tawfik will open up the conference. Other participants include Chairman of the General Authority for Investment and Free Zones (GAF) Mohsen Adel, Chairman of the Egyptian Exchange Mohamed Farid Saleh, and Deputy Chairman of Financial Regulatory Authority (FRA) Reda Abdel Moaty. Senior officials from investment banks, insurance and non-banking financial services firms as well as listed companies on the Egyptian Exchange will participate in to hold speeches. Notable speakers include: Managing Director of Arqaam Capital Radi al-Helw, Chairperson of the Egyptian Federation of Microfinance Mona Zulficar, Chairman of National Asset Management and Investment Company Sherif Samy, Chairman of Misr Insurance Holding Company Basel al-Hini, Chairman of the Egyptian Factoring Association Gamal Muharram, co-head of Investment Banking at EFG Mostafa Gad, Deputy Chairman of Giza Spinning and Weaving Fadel Marzouk, Chairperson of Acumen Asset Management Rana Adawi and head of Investment Banking at Pioneers Holding Mohamed Aboulghait. Secretary General of Federation of Afro-Asian Insurers & Reinsurers (FAIR) Adel Mounir, head of North Africa of Willis Towers Watson Hamed Mabrouk alongside Managing Director of Sarwa Life Insurance Company Peter Magdy are other names set to be present at the conference. Moreover, the conference will be visited by Chairman of Egyptian Association for Direct Investment Abdallah al-Ebiary, CEO of the Global Leasing Company Hatem Samir, CEO of EFG Finance Holding Walid Hassouna, Chairman and CEO of Tanmeyah Micro Enterprise Amr Abouesh, CEO and Managing Director of Sandah Microfinance Bassel Rahmy and CEO of Vitas Egypt for Microfinance Hossam Heiba. Al-Mal GTM, of the economic daily al-Mal, is Egypt’s most proactive national firm for conference organizing and think tanks. The CEOs Thoughts Conference, Real Estate Debate Conference and Portfolio Egypt Conference are prominent examples of al-Mal GTM’s success.